During the solidification process of metal melts, complex chemical-physical processes occur. 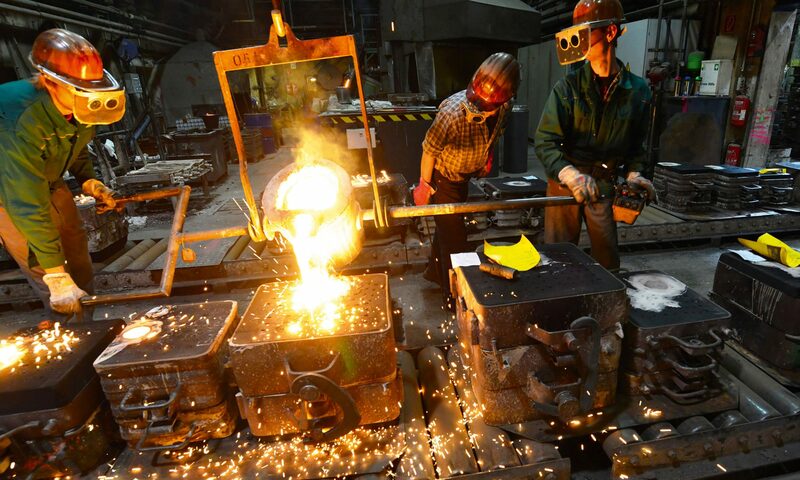 Despite the separation of the raw materials required for the production of castings, the composition of the starting materials, secondary or primary raw materials is often not sufficiently known. Other variables such as temperature differences between start and end of casting, weekend holding times, too much or too little inoculation or other errors in the process influence the solidification process and thus affect the quality of the castings. In order to optimize the result of the casting process, the control of the chemical composition of the molten metal as well as the monitoring of the inoculant content and the different phases of the solidification are necessary. The thermal analysis provides information on the metallurgical behavior of molten metal.As a method for determining the characteristic points (POI) during the phase transformations from the cooling or heating curves of a melt, the thermal analysis serves as a control element of the process control in foundries.